Screening: Saturday, June 16, 9 p.m., Outdoors on the High Museum’s Sifly Piazza and Accompanied by Distinguished Composer Dr. Philip Carli. Come at 8:15 p.m. for drinks and tunes from Brent Runnels, pianist and Executive & Artistic Director of Jazz Orchestra Atlanta. 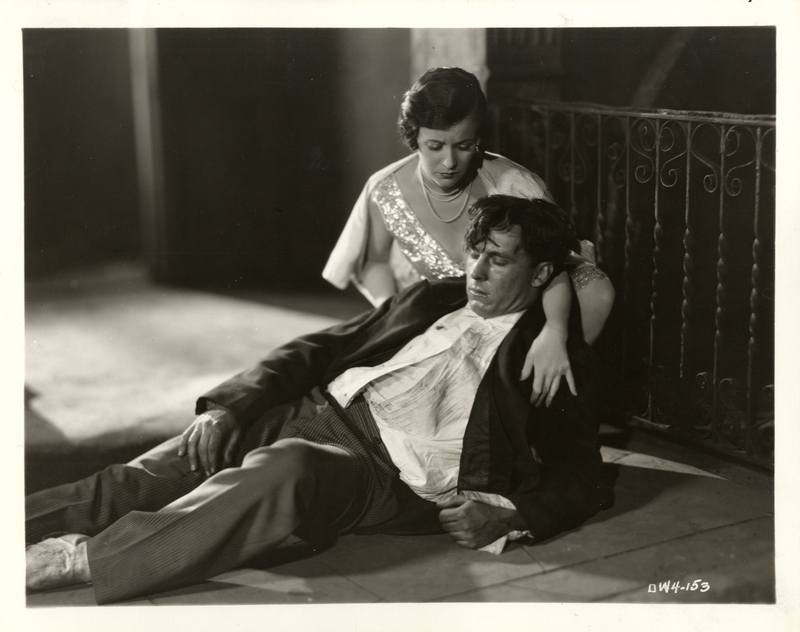 A classic melodrama, East Side, West Side (1927) gives us a love story, a rags to riches tale with a heavy dose of the American dream, a subway catastrophe, and a sinking steamship spectacle. As if we needed more to pique our interest, the New York Times review gave its readers these salacious details upon the opening of the film in 1927: “There is in this production a tendency to cater to the movie mind by arraying the feminine characters in flashy costumes and in having John Breen go to a none too impressive saloon in evening clothes with white gloves and a flower in the lapel of his coat.” As much as we like to think our “movie minds” have changed over the last 85 years, ladies in “flashy costumes” and tough guys in “none too impressive saloons” remain the recipe for a crowd-pleaser. What has changed is how we watch movies. 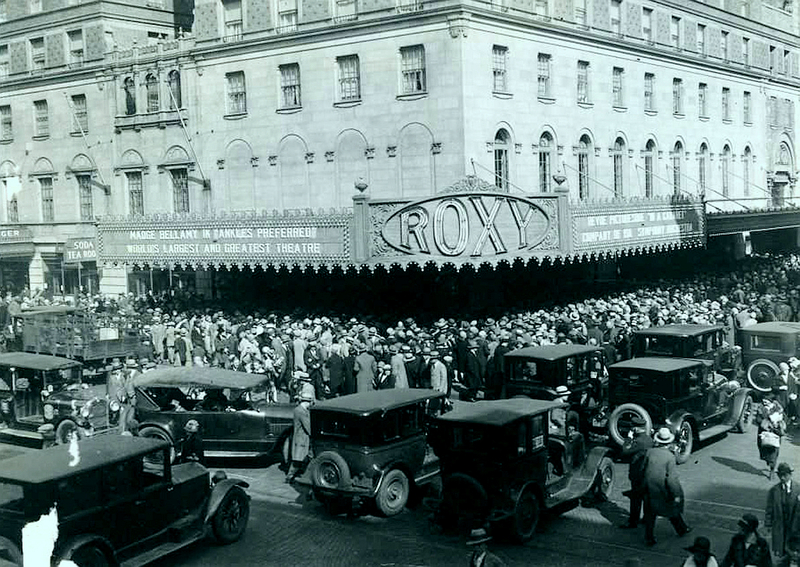 Manhattan’s Roxy Theatre at its Grand Opening in 1927. Located off Times Square on 50th Street between 6th and 7th Avenues in Manhattan, the Roxy Theatre opened just five months before it screened East Side, West Side in October of 1927. The theater cost $12 million to build (yes, those are 1927 dollars) and sat 5,920 people. 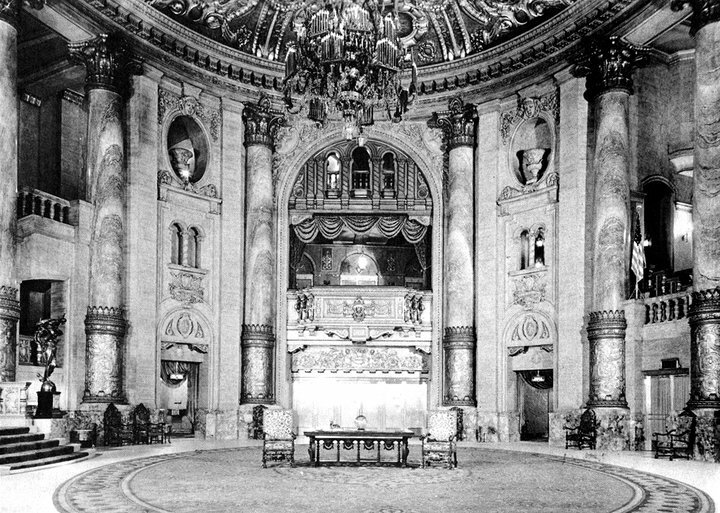 Its creators dreamed it to be the world’s largest and finest motion picture palace in the world, a formidable challenge given the hundreds of movie palaces being built each year between 1925 and 1930. Indeed, this was a momentous period in film history. At the height of the silent era and on the brink of sound, the Hollywood studio system that would dominate the industry and shape cinema’s future both at home and abroad was taking shape. It was a time when most people in the United States were going to the movies every week. Movie palaces like the Roxy harnessed the great energy of this new art form and made the average film-going citizen feel like royalty. This Saturday night, we are lucky enough to have in East Side, West Side one of the relics from this paramount period in film history. We don’t have the palace this film deserves (and sadly, the Roxy doesn’t exist anymore either; it closed in 1960 to be replaced by a TGIFriday’s) but we are putting on quite the show anyhow. Accompanied by the renowned composer, scholar, and pianist Dr. Philip Carli, the film will be projected outdoors on the Sifly Piazza. We’ll start at 8:15 p.m. with a piano concert from Jazz Orchestra Atlanta’s Brent Runnels and have plenty of drinks and movie snacks to throw back during the film. Spread the word, bring your lawn chairs, and we’ll see you there.